One of my very best friends, Dilraj Gahunia, is filling in today with this FANTASTIC guest art so I can get caught up on proper update pages!! Thank you Dee!! 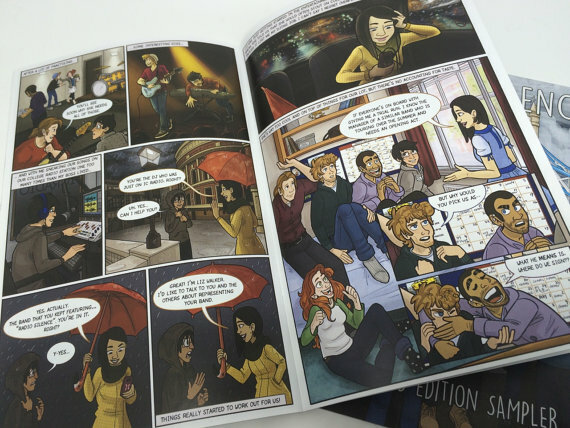 Radio Silence has a limited edition sampler zine! The first 20 pages of the comic are now available for a mere $5. I include a signed postcard with every purchase!